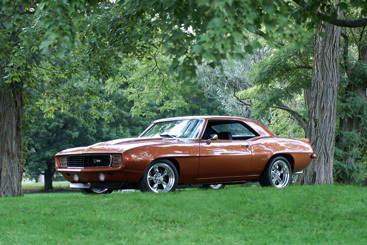 Bowden Customs & Restorations has been in the industry for nearly a decade. But before that, Steve Bowden had been restoring and building custom cars for himself since the late 80's. Since his opening of a 14000 sq. ft. shop in Springfield Illinois in the spring of 2008 he and his crew have been a part of many projects from partial restorations to full frame-off nation award winning show cars. 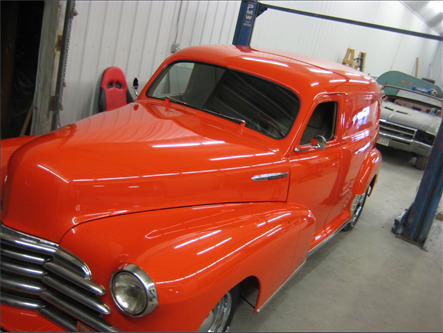 Along with the full restorations and custom builds, the shop has also offered classic car service and small custom fabrication projects. Bowden Customs has down sized and narrowed its work load down to one full ground up build at a time and smaller projects worked in around it. This allows for a better quality and attention to details and desires of the customer. Full build projects take anywhere from 9 to 14 months. It depends on the extent of custom work in the project. Work is completed in a productive and efficient manner. Making sure that every thing is ready when it comes time for assembly of the project. Scheduling of sublet work and outsourced services is handled right here as well. Whether it be a fully custom built hot rod going for national award recognition or swapping a 4.6 supercharged drive-train into your 67 mustang a modern hemi swap or even a twin turbo ls project. We look forward to hearing about your dreams for your project. We also have recommendations for designers to complete a rendering of your project so you can see your vision before it starts. We enjoyed being a part of all our customers projects. However, building custom cars and fabrication is where our passions exists. Within the past 3 years all of the restoration projects have been completed. We now focus on custom sheet metal fabrication, modern drive-train swaps, resto-mods and full custom builds of whatever vehicle you like. This our passion, to build award winning cars and trucks.